Our modern comprehensive fleet of vehicles from 44 tonne curtainsiders through to car derived vans operate throughout the United Kingdom and Europe. We are experienced warehouse keepers, having the capability of storing both hazardous and non-hazardous materials in one of our modern facilities. Need a sample or a re-pack, we are here to help. 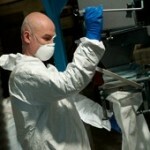 IATA trained staff are on hand to take care of your requirements be they UK, Europe or Worldwide. Our team of instructors offer Fork Lift Truck and Driver CPC training to RTITB Standards. Our engineering technicians will assist with your shutdown needs. Global distribution and modern high bay warehousing with sample and re-packing facilities give us the tools to serve your every need. We at Hanson Logistics have the tools required to fully service your logistical requirements. From a modern 44 tonne delivery vehicle with on line tracking to the very best in warehousing. Our fully trained staff will look after your goods as if they were their own. 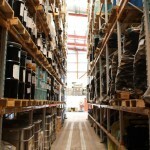 You want chemical storage, look no further, our Top Tier COMAH Warehouse is at your disposal. "Our logistics partner since 1997, Hanson’s deliver a reliable, professional and customer focused service in delivering record OTIF levels to our satisfied customers."